Awesome!!!! Definitely going to see some of those! Jet ski event should be interesting ... winner who can scam the most money from damaged jet-ski? 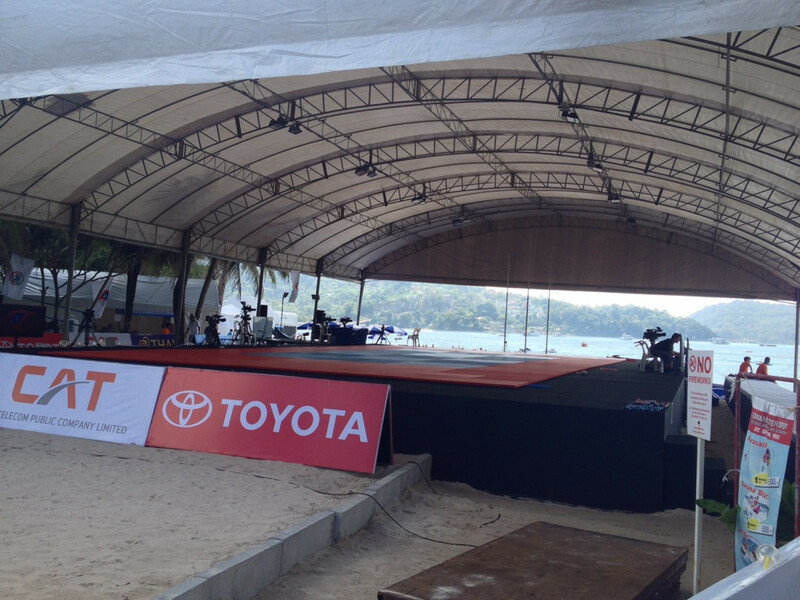 At Patong Beach now, apparently Ju-Jitsu event shortly. Really nice scene and setup, just on the side next to the police box overlooking the beach. Absolutely beautiful day and the beach is fairly busy. Honestly apart from the deck chairs not much have changed - still lots of vendors walking around, lots of jet-skis parked on the beach, lifeguards (555) clearing people off the beach so the paragliding have room (lots of them today), and even saw a few massage stalls. Drove past Karon earlier today, and looks like a quite impressive setup. Think I'll take a beach holiday in Karon / Kata over the weekend. Just need to scoot home to feed the dog a few times in between 555.